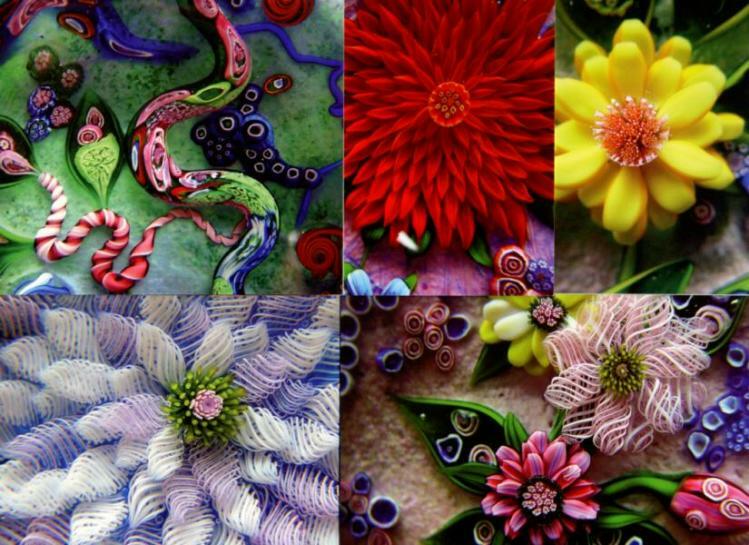 Debbie Tarsitano's glass art has evolved from simple floral paperweights in the 1970s to contemporary sculptural expressions. The results are powerful, fresh images encased in glass. She has created this wonderful set of note cards from those images. 4 1/2" by 6" format. There are ten cards with two each of five different designs. Eleven envelopes. The image shown is a composite of portions of the five designs. Click on the picture to see an enlargement.